(CNS): Former roads minister, Arden McLean, has admitted that several million dollars was owed in land compensation claims when he left office but it was not as a result of poor management by the PPM or down to just the roads he was responsible for completing. McLean told CNS that when he took office there was more than $20 million outstanding going back over the previous decade, including when Truman Bodden was leader of government business. McLean stated that during the PPM tenure he cleared more than $13 million worth of compensation claims and the administration budgeted more than $3 million year on year to clear the existing backlog. As new roads were built, however, new compensation payments were made and others went into dispute, adding to the total amount. Answering recent criticisms from Bodden, the former government leader, and former MLA John McLean, tMcLean said that new claims had arisen from the road developments during his time in office but he was also faced with tackling claims and disputes stretching back many years. The former PPM Cabinet minister pointed out that it was not a matter of him leaving money to cover every possible settlement in the future but for each administration to manage the claims, which is what the PPM government had done by reducing the previous debt as well as beginning to negotiate the new claims. He pointed out that over the last three years the UDP government had budgeted less than a half million dollars per annum to deal with the ongoing negotiations. Blaming the PPM for the entire debt burden regarding roads was unrealistic, McLean said, as he pointed to the complexities of the process and the disputes that are bound to occur. He said the hold-up was not just down to the previous government. “In one case we had a land owner offered $20 per square foot by government but they wanted $60 per square foot, so it went to a hearing where the owners were awarded only $16. The owners then appealed that decision and they were eventually awarded $20, which is what we had offered in the first place,” McLean told CNS. He explained that the amounts offered on compensation for lands purchased for roads are frequently disputed and resulted in protracted negotiations, and it was not a matter of simply pointing to the PPM as being the people behind the hold-up for claims being settled. McLean pointed out that when he left office there was over $4 million worth of claims in negotiation, despite having paid back over $13.5 million on the $20 million he was presented with on coming to office. He admitted that the development of new roads swelled the claims back to $14 million, which he said was the total amount at the time he left the ministry. This is a very serious issue. I understand that there is some $50 Million in claims from landowners for road works. Naturally, these claims will need to be processed and negotiated for a final figure and hopefully, the negotiated numbers will be drastically reduced. Mr John Mclean and Mr Truman Bodden is 100% correct,i trust them in what they tell us,they are more experienced and educated than the current crop of mules and donkeys who do not know how to spend our money wisely. there are lots more unanswered questions surrounding the road projects……. #1…what was the final cost vs. the original budget?????? AND, when you find that out, ask yourself who produced those figures for the politicians to consider? At least he owed up to it which is more than the others do. Anyone can FOI and see if what he says is true. Court disputes take forever. I should know. I got two years child support out of three years and have to go to court every month to try to get anything. The courts here are ridiculous. I hope that Human Rights thing helps out. 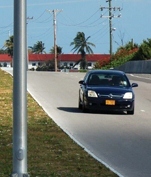 Will us Caymanians ever come to our senses and realize that the only way to stop this repeated problem of unfunded infrastructure costs is to have a realistic infrastructure funding regime that collects funds for each type of development based on the cost of the infrastructure the development will need? Many countries now have infrastructure funding regimes to ensure thar development pays its way as development takes place. Our national debt will continue to increase unless we implement the infrastructure funding regime. You mean like tolls or taxes? It is disgusting that the government can just decide to take a person's property and pay what they deem it is worth and not the true value of it!! People make investments based on valuations done by properly qualified valuators, such as the folks at BCQS and others, and the government should be bound by the same costings. This needs to change. sure , sure , sure! !….You do not build bypasses from West bay to george town and from George town to Savannah without incurring land costs…and alot of it as well. Arden's grand road scheme cost a lot and is still costing alot. He can say whatever but that is the fact. Yes we needed the roads…No we could not afford what he gave us. pure and simple. So he inherited $20M and cleared up $13M but what he did not say is he also left $50M in claims. That is the full equation so you judge if this was good management or not. All politicians play this game…they tell you what they want the cost/settlement to be but never what the claim really is. Please someone do a FOI on the total value of LAND CLAIMS under Arden–WILL BE VERY INTERESTING. "Please someone do a FOI on" – You do it. It is a negotiation, just because one firm gives a value does not mean anyone is bound to pay that price. The Govt has a valuation team too. As another citizen in this country, I am glad when they do NOT pay too much for things. Imagine the mess we would really be in if the Govt always paid what the seller wanted. He He He, his mama gave it to him. What Mr McLean should have done was to pay off the existing debt before beginning a new one. It is normal common sence if you have a bill at the Gas station or anywhere for that matter of 20.00, but when the New month come in you will be getting gas food or whatever starting a new month. I would think that the most decen and wise thing to do was to pay the Twenty dollars and begin a new bill for the new month. Know something, I do hope the Cayman Islands realize that all of you need to go. Both PPMand UDP. You need to stay home. You are only collecting 10,000. a month from Tax payers money and doing nothing but war and causingproblems. You simplify the matter but is it that easy? I will use your simplistic example of a bill at the gas station. You want to start getting gas at the gas station but when you go to apply your family have already racked up $5000 at the gas station. Now if you have the $5000 to pay immediately then great but if you don't you are going to begin paying what you can on the $5000 debt but in the interim are you saying that you go without gas until the $5000 debt is paid? Unrealistic. What I find with a lot of Caymanians is they want everything for nothing! They expect the Government to do so many things, build new schools, give them paved roads, a decent hosptial etc and when Government try to give them these things, they complain. Make up your mind people. Now some people will say well McLean should have waited until he finished paying the debt before he built anymore roads, I would like to go out on a limb and say that the Newlands residents are extremely grateful for the East/West Arterial road. The traffic was not getting any better in the mornings coming from the Eastern districts. I think WBayers are also appreciative of the bypass to help deal with the morning traffic. McLean can bob and weave as much as he likes but it is simple — the PPM went on a spending spree and attempted over $300,000,000 in capital works (now up to $400,000,000 with Alden's schools fiasco). Most of those works we needed/thought were good but not at the grandiose scale the PPM attempted. Simply, It was money that the country DID NOT have and the recession caught them flat-footed. In fairness they did not build up our entire $700,000,000+ debt by themselves- other governments have had a hand in that as well. We need to stop this blame game- ALL previous governments spent MORE THAN WE HAD!!! It started in the late 1980s and the country's bank accounts don't lie. However Mr. McLean you need to also accept you had your part in it and that the PPM was responsible, in 4 short years, for half of our debt. The Financial Secretary can confirm that. For those with questions, the truth is just an FOI Request away. The FOI law allows any member of the public to questions and query Govt on decisions made, monies paid, number of claims settled etc. Find out the truth for yourself by submitting your own FOI Request to the Ministry of Lands, if it is not already on the Lands and Survey website. Thanks for the explanation, Arden. If only all politicians were so forthcoming. It exposes Truman and John's politicking for what it is. It's always someone else's fault or problem. Why don't these politicians just be responsible and stop with the back and forth crap. They are not little children even though they act that way all the time. Arden – will never take responsibility for anything wrong. You should have dealt with any legacy issues. Most good managers do this. If McKeeva had dealt with the legacy issues either in 2001-2005 or 2009-2012 we wouldn’t be having this discussion. Read the article again, Arden said he inherited $20M in claims and settle $13M. That sounds like clearing up a lot of the legacy issues you speak about. You are absolutely right, most managers do this and that is what Arden was doing so conclusion……he is a good manager! I don't see how you concluded that he was not taking responsibility if he admitted that he inherited a $20 million debt and he admitted that he paid $13 million toward that debt and he admitted that capital works while he was in office also increased the figure by $7 million to $14 million. What exactly is your definition of taking responsibility? You make it sound so simple that he should have dealt with any legacy issues but you tell me which politician past and present who has completely cleared legacy issues before doing anything! Not one because if that were the case at the end of their first term they would have nothing to show the people of what they had done and they certainly would not get away with telling the people that they were busy clearing legacy issues. So from your simplistic view you are saying that none of the politicians are good managers because none of them dealt with legacy issues BEFORE embarking on new adventures. Silly! Arden did take responsibility. He simply set out the facts. It is quite fair to point out that there were also legacy issues and that disputed settlements can lengthen the process. Should he have pretended that all outstanding amounts were caused by him and were not paid because of his negligence? His accusers need to take responsibility. "Most good managers do this."